After signing Josh Kline to a three-year deal on Wednesday, the Vikings are back on the hunt for affordable offensive linemen on Friday. The team is hosting former Jaguars lineman Tyler Shatley on a free-agent visit on Friday, a NFL source confirmed. 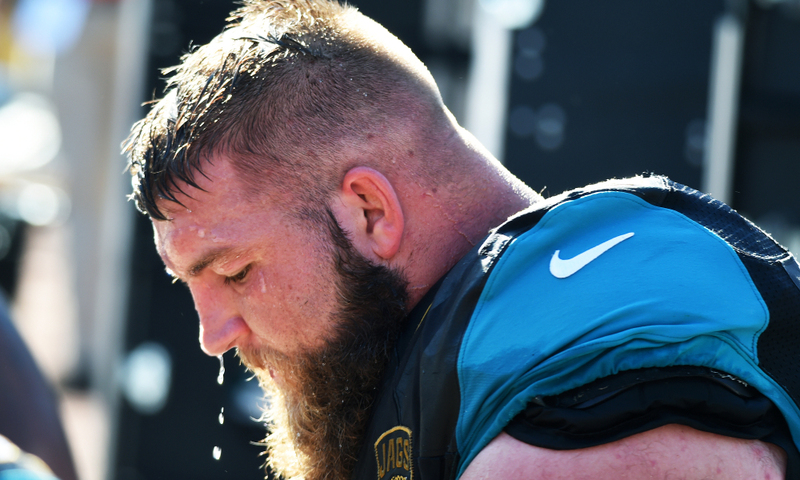 Shatley, an undrafted free agent in 2014, started seven games for the Jaguars at center last season, and made 15 starts over the past three seasons at center and guard. He allowed three sacks and six hurries in 311 pass-blocking snaps last season, according to Pro Football Focus. Shatley started at center for the Jaguars in 2016 against the Vikings, playing 66 snaps in the game, but finished the season at left guard. Were the Vikings to sign him, he’d seem likely to compete for a job at guard, while giving the team depth at center in case of an injury to Pat Elflein. A source said the Vikings are also still exploring the possibility of bringing back guard Brett Jones, and the team had interest in a reunion with guard Bryan Witzmann, though signing Kline earlier in the week likely took the Vikings out of the running for him.